In 2004, Dallas-based entrepreneurs Adam Alfia and Kfir Alfia co-founded Maestro Personal Assistants as an affordable alternative to expensive 411 calls provided by national cell phone services. The concept quickly evolved into a phone based personal assistance service for busy executives. In 2005, Maestro revised its business model. We focused on offering personal assistance and concierge service to companies as branded marketing and loyalty programs. This unique concept was readily accepted by corporations searching for incentives to help them stand apart from competitors and better serve their customers. At that point, we moved into our corporate headquarters and expanded our national call center. Today, we are an innovative force in the marketing and personal service arenas ready to help you. Maestro and its industry-centric divisions have won several awards and garnered a solid reputation for helping corporate giants in every field provide a level of exceptional personal service rarely seen these days. As a result, our Fortune 500 and other prestigious clients are attracting customers, increasing customer satisfaction, building long-term loyalty, and strengthening their overall brand presence. Maestro never stops searching for ways to provide even higher levels of exceptional service for our clients. In fact, we recently earned a 2012 Dallas 100 Entrepreneur Award honoring the top 100 fastest growing companies in North Texas. Currently, we are in the process of expanding into Canada. Ultimately, our goal is to offer our branded assistance and concierge service to companies worldwide. We're also constantly developing new ways to benefit our clients through the use of new technologies. For example, Maestro's development team is expanding the capabilities of our mobile app. New features will extend brand exposure by increasing the interaction between our clients and their customers. Through the use of emerging and proprietary technologies, innovative new standards and optional app features will be added soon. We are providing personal assistance and concierge service to over a million of our client's customers. Now, we can do the same for you. "You are amazing! Thanks for working this out. We received confirmations for Cindy and Adam but nothing for Nick. However, I did check the Air Canada website and his flight has been changed so I don't think a confirmation is necessary. Thanks so much for your help on this." "Reservation was perfect....this is the most incredible service ever." "This is fantastic! Thank you SO very much. Your service is really impressive, and I so very grateful." "I love my personal assistant. Thanks so much this is great info. you did a great job." "This is excellent and exactly what I wanted -- thank you for your thorough research!" "Thanks so much for the suggestions below. I was impressed on the thoroughness and creativity." Copyright © 2019 Maestro Personal Assistants. All Rights Reserved. 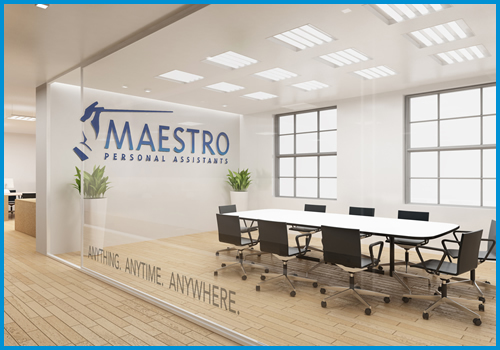 Maestro Personal Assistants is rated 5 out of 5 stars based on 766 ratings and 766 user reviews.